If you’re like me, your most challenging mental periods are the ones during which goals are yet to be defined. For many of us, running provides a foundational piece of life in general, and passing time without goals can lead to a sense of aimlessness in training and, possibly, other areas of life. 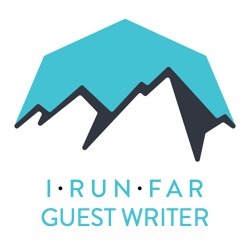 During the winter, your goals may be specific and immediate (“I will win my age group in a certain race in January”), specific and long-term (“I will run 24:00 at Leadville”), or general and long-term (“I will finish my first 50k this summer after selecting it in a few months”). Fall and winter can be a great time to work alone or with a coach, training partners, or family to establish goals and training plans for the next season. It’s also a good time to network with other runners who have accomplished similar goals in the past or are hoping to reach goals similar to your own. Your goals may change as time passes. Who knows, you might decide to focus the summer on mountain biking instead of running, and that’s okay as well. 2. Cross Train… and Have Fun with It! From Kilian Jornet on down, many of the world’s best ultrarunners are increasingly using significant time in other sports to provide a solid winter base. Ski touring (use climbing skins to ascend and then Alpine ski down), snowshoeing (training or racing), cross-country skiing, cycling (road, mountain, trainer, and/or snowbike), winter multi-sport, and swimming are a few possibilities for maintaining and even increasing aerobic fitness and base strength during the winter. Top athletes never go hard in their sport all year long; they need time off. Recreational athletes on the other hand, sometimes require motivation in the winter. Both requirements are met by cross training in the winter. Go snowshoeing, Nordic skiing, cycling, or anything that is fun, stimulating, and helps provide a strength and aerobic base so you’re ready to pick it up in the spring. If you have just finished a long racing season with structured training, a solid period of complete rest, and/or unstructured training for fun may be in order. At some point, however, resuming an individually appropriate degree of purpose with each workout may be helpful in maintaining motivation when outdoor conditions and darkness make getting out the door tough to do. Such intent may be achieved by randomly mixing workouts that seek to build fitness, or it can be done through a structured program that systematically builds fitness. A few organizational patterns are linear periodization (specific chunks of training that build areas of fitness throughout the season leading to one key race), block periodization (specific chunks of training that build areas of fitness leading up to multiple key races within a season), mixed (each workout type occurs almost every week), and random (do whatever you have time for, but shoot for quality). Regardless of how you plan your workouts, fostering stories like, “I’m doing this workout to increase leg strength and aerobic capacity” are much more helpful than others such as “I guess it’s time to run again, but I’m not quite sure what this workout will do for me.” Coupled with commitment (the choice to give up choice) ahead of time and goals you are passionate about, stories like the former will get you out the door at 5:00 a.m. in the cold. Whether you do it every weekend or just once or twice, racing during the winter can be a great way to have fun, stay sharp, and build or maintain fitness. In many areas of the country, racing opportunities exist year round. When considering racing opportunities, consider shorter road races to work on the leg speed that may be pushed aside during your primary ultra season, snowshoe races to build leg strength and aerobic fitness, cross-country skiing or ski mountaineering events to really crank your heart rate, or winter multi-sport events (a common format is snowshoe/snowbike/skate ski) to provide motivation for growing skills in other disciplines. Non-running training for some of these events can be a good way to stay fit while healing running-specific overuse injuries. If you’ve set a big racing goal for the summer at a new distance, completing a first race at the distance in the winter or early spring can be a good way to work out the kinks before your key event while providing a more immediate goal. I believe you can race at a fairly high level year round. You can race yourself into shape as long as you try a different variety of events and mix up your schedule. This way you can have fun at organized events instead of dreading a solo hard workout session. This is possible as long as you accept that some races will not be your main focus for the year and you can prioritize key races. All races provide motivation to train and allow you to set goals and ‘mini-goals’ that can structure your training cycles. I grew up amongst constant stories and principles from from my dad’s experiences as an ultrarunner and adventure racer, and one particularly powerful idea, above, relates to the most important reason to keep training in the winter on days when training is less than fun. As anyone who’s finished an ultra can attest to, most long races include at least one (and sometimes many) points at which mental toughness becomes a paramount requirement for driving forward. Every time a runner pushes him/herself to get out and go, particularly when it’s cold, wet, dark, and miserable, his or her fortitude is strengthened. Doing so repeatedly through the winter creates a foundation for the mental stamina needed for summer ultras while simultaneously providing experience in dealing with harsh conditions that may be experienced during races. Dad was right, and, when I’m suffering on the coldest and shortest days this winter, I’ll try to remember that it all really is good mental training. Does your motivation flag in the winter? Do you think it’s from environmental factors, residual mental fatigue from a hard season of racing, or something else? What tactics help you to keep after it in winter? I live in Florida. Our racing season just started. Though I do always structure my training such that I'm able to head to other parts of the country to play during the winter snowshoeing and mountaineering! Good advice — thanks. I'm on an injury-induced layoff so cross training quite a bit (mostly spin classes). When healed, I'm looking forward to running in the snow in Colorado over the holidays with my Katoolah microspikes and Atlas snowshoes. For me, the biggest challenge of the season is not gaining too much weight; the cold weather and holidays make me want to eat and drink like a bear getting ready for hibernation. Come spring, I'm sure the novelty of 'speed' work will wear off and I'll be excited for multi-hour mountain runs again. I prefer trail running in the winter along Colorado's front range compared with other seasons. Due to less available sunlight, mountain biking is more difficult by headlamp – not to mention you get 'more bang for your buck' while running, in less time. The trails are quieter and less populated, what once was a technical rocky trail has been buffed out into a smooth strip, and the sunrises are magical with a fresh coating of snow. The slippery nature of the ground forces you to run lighter and more agile, greatly improving form. Unlike the heat of the summer you can always just add another layer. Running along an untracked trail with 3-4 inches of soft fluffy snow brushing against your ankles is an entirely different experience. Great article! The snow, cold and less daylight hurts my motivation a little. Running on the roads and other plowed surfaces can be a refreshing change of pace though. I wanted to clarify in my quote above that by mixing it up with racing year-round I meant trying shorter distance races, working on speed and/or trying different sports. For example Sandi and I mixed it up in some snowshoeing events last winter. Back in college though we used to race cross country all fall then burn it hot with indoor track all winter then go straight to outdoor track in the spring followed by a huge summer base of training miles….there never was an "off-season." I think the key is to become a well-rounded, conditioned athlete but to always do something to train the heart and lungs year-round. It's great to see that some people have mentioned doing more speed/track/road work too…it's all about periodizing your training to stay healthy, become more consistent and ultimately progress. Great article. This is going to be my first "off season" with another activity to do besides running. I recently got a CX bike and have been incorporating that into my training. Its a lot of fun and its beneficial to my running. Win win in my book. I cross train regularly with CrossFit so I am always trying new things there or at least getting a different kind of workout than a long run or speed session. I also makes working out fun as others are around than just yourself logging some miles in the brutal cold. As an over-dresser, I say wear a bit less than you think you will need (pack it if you think you might change your mind). You will overdo it sometimes, and under do it others. Of course if you're in high school, by all means wear shorts and a tank top when it's 5 degrees and snowing (kidding). Wool socks! Wool socks! Wool socks! And watch for wind — it can be a game changer, and turn a nice cool run into a finger-numbing "death" slog. As someone from a place (Canberra, Australia) where winter mornings and nights can get cold but snow is not an option, there is the possibility of running exactly the same routes year round, basically in the same state each time. The challenges are early sunsets and cold that make it harder to get out. I like exploring my local trails in winter, not doing long runs as much as having a look around for new areas around me. Good article Travis, and as someone who has known you a long time, I will add: you have definitely walked your talk! I'll add another idea: the treadmill. Trail runners flip out when I say that, but particularly if you're a working stiff (moi), walking into the warm, well-lit gym at 5:30 pm on a cold winters night is really nice. Quality NOT quantity is key on a treadmill. A bluetooth headset doesn't hurt either.